American jazz vocalist, songwriter and guitarist Madeleine Peyroux comes to Zorlu Performing Arts Center on Dec. 5 as a part of the Garanti JAZZ Green concert series. Standing out with her mesmerizing voice that captivates audiences, the musician has been influenced by Bessie Smith, Patsy Cline, Edith Piaf, Johnny Mercer, Charlie Chaplin, Serge Gainsbourg and Bob Dylan since her childhood. Labeled as the "21st century Billie Holiday" by music authorities, Peyroux won BBC's "Best International Jazz Artist of the Year"award in 2007. The artist performs the songs of late Leonard Cohen whom she is inspired by so much. 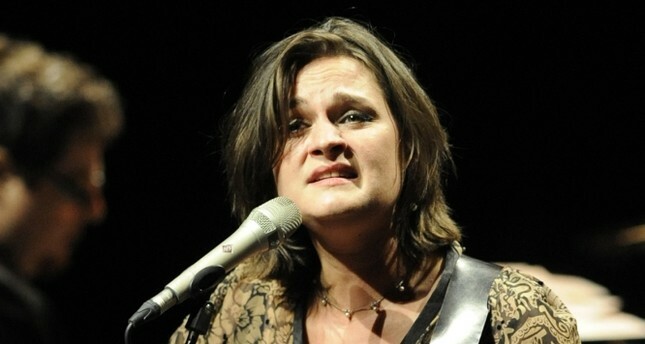 In her latest studio album, Peyroux did not only performed jazz tracks but also acoustic blues, country and pop, enlarging her musical range.